"hi will, this is jezz from the uk. both my fixed bikes go or have been ridden off road. This one's a Pennine grass track bike. it was my messenger bike a long time ago, it's been all over on-off road." 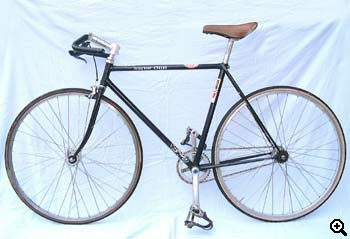 Jezz Harty sold the Pennine to buy a new Pompino.